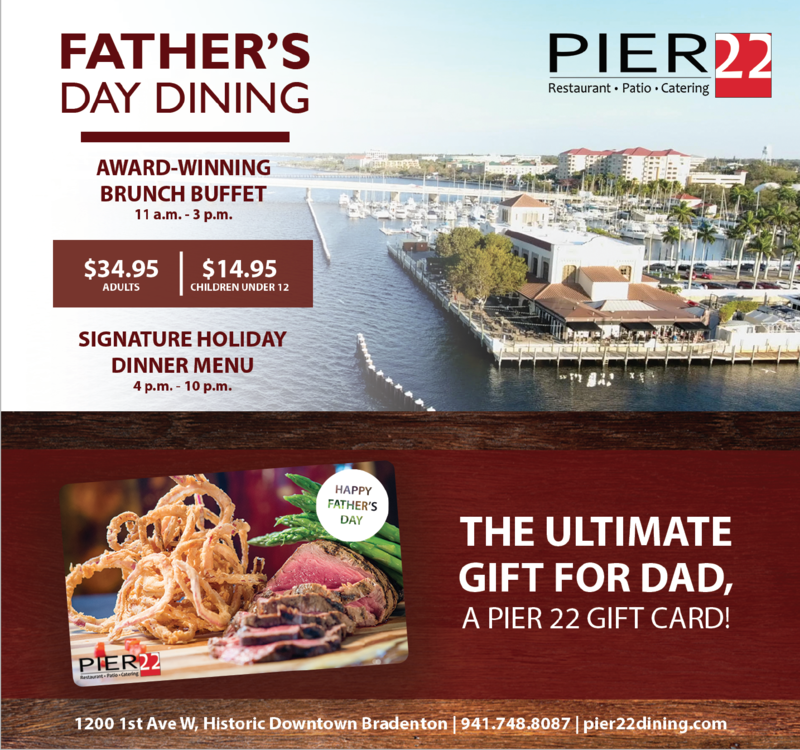 PIER 22 offers a full day of Father's Day dining with an award-winning brunch buffet option from 11 a.m.-3 p.m. and a signature holiday dinner menu starting at 4 p.m. and ending at 10 p.m. Sunday, June 18. This Father's Day enjoy a lavish spread of breakfast, lunch, dinner and dessert items. The Award-Winning PIER 22 brunch buffet has it all! Win dad's heart with a meal fit for a king. Father's Day brunch buffet fare includes carving stations, seafood and sushi stations, made to order omelet station, fresh salads, seasonal fruit display, danishes, pastries, desserts and much more! EXTRAS-- $4.00 BLOODY MARYS & $4 MIMOSAS | WHILE YOU'RE THERE, REGISTER DAD TO WIN A FISHING TRIP AND HOOK & COOK EXPERIENCE FROM ITREKKERS AND PIER 22! Join PIER 22 this Father's Day for the signature holiday dinner menu, which features seafood favorites like stuffed lobster tail and wasabi crusted ahi tuna along with landfood items such as rack of lamb, prime rib and filet options.